Here is our current offering of unfinished bells. These are just as they were when we found them. They are attractively priced. If you are placing a bell into a tower where it won't be seen just heard this may be your most economical solution. All bells come with clappers. All of the Bells on this page are bronze unless otherwise noted. 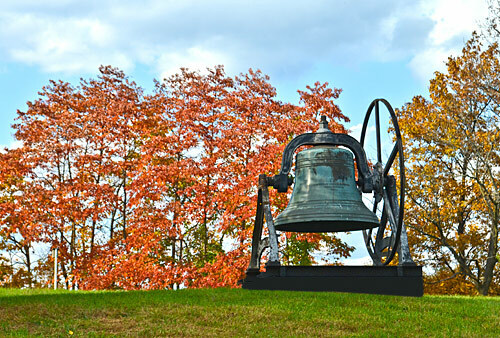 See our restored bells on our Church Bell page. Below are some of our current stock of unfinished church bells for sale. Click on the small photos to see them enlarged. Entire Site © 2010 - 2016 Brosamer's Bells Inc.